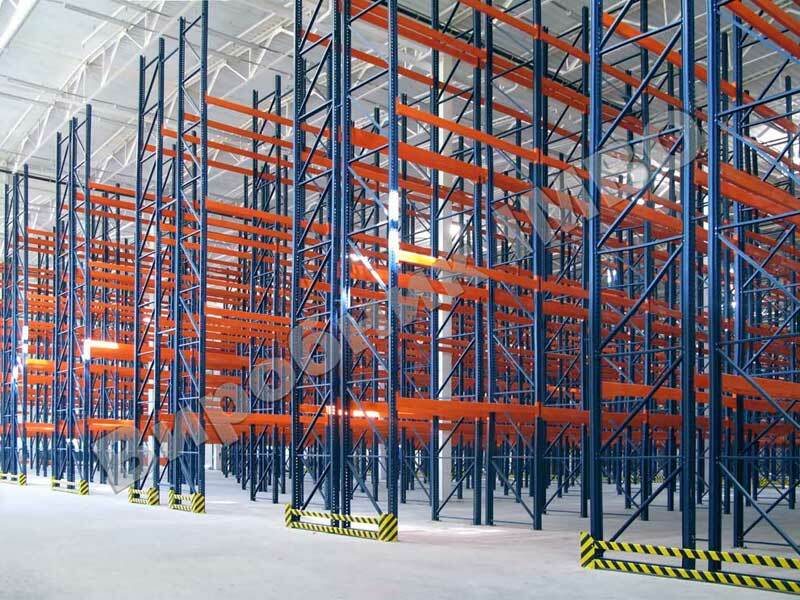 Height of storage is up to 12 meters (in some cases up to 14m). 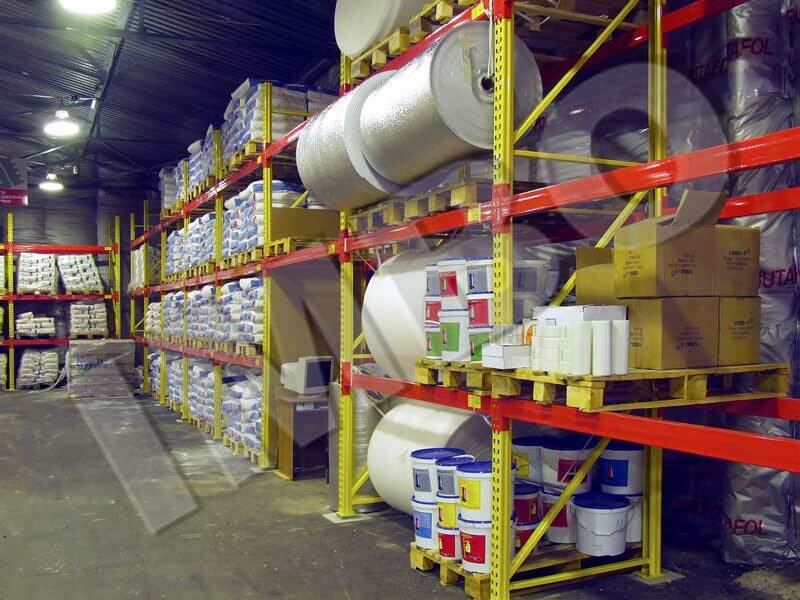 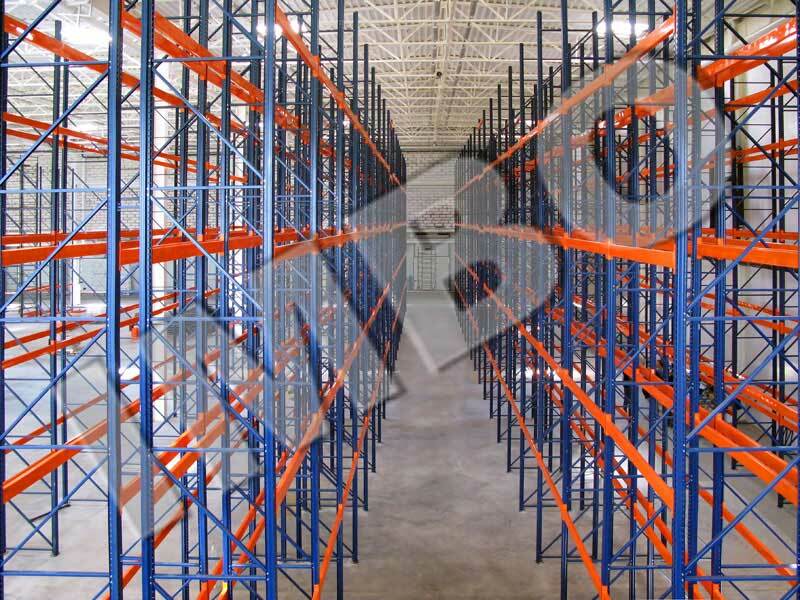 We also have developed pallet racking for high load levels. 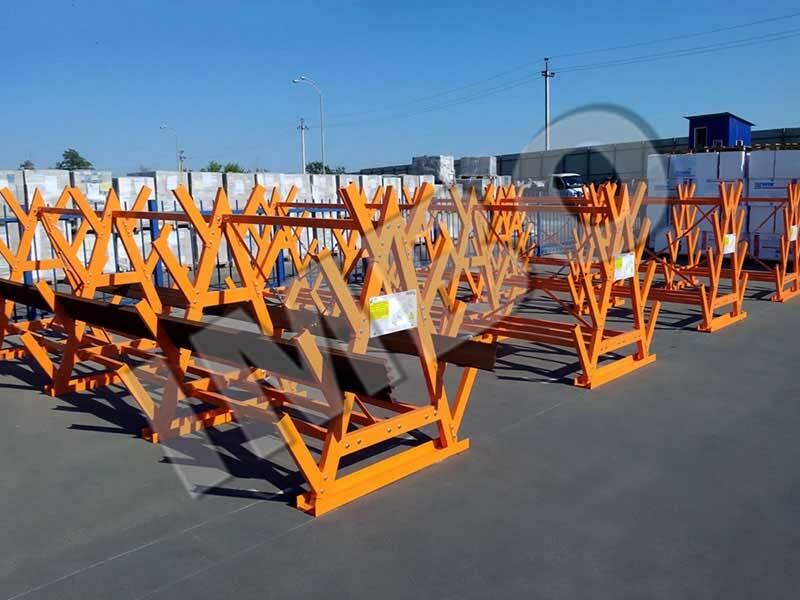 Mobile systems on rail platforms, that are set in motion by remote control. 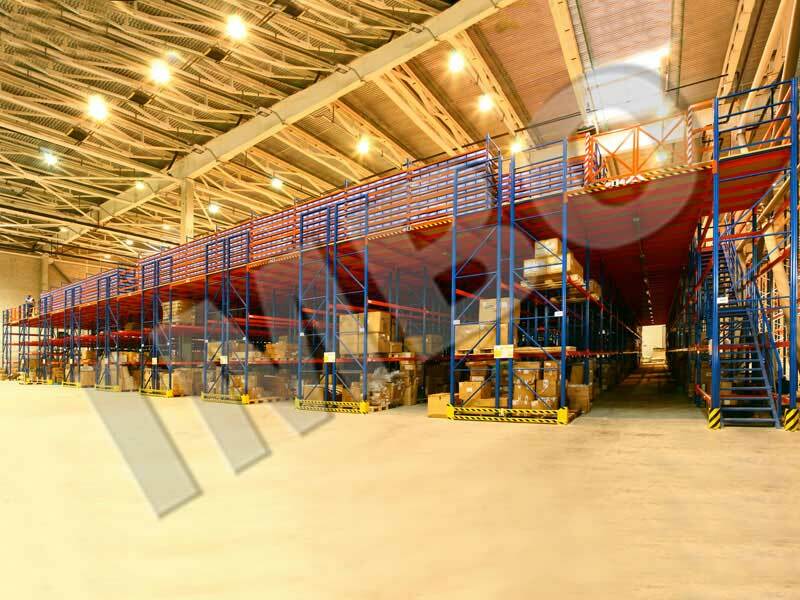 Universal modular system for storing of any cargo. 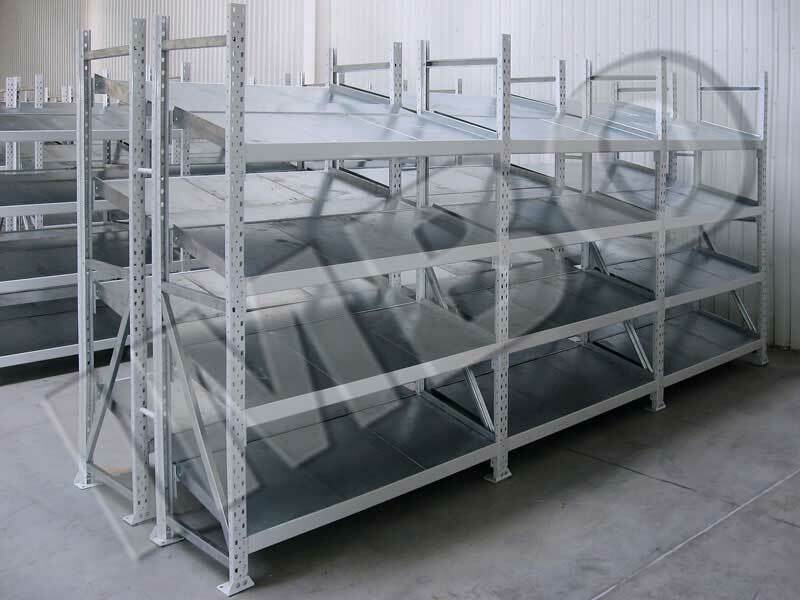 Racks are produced for various goods up to super heavy. 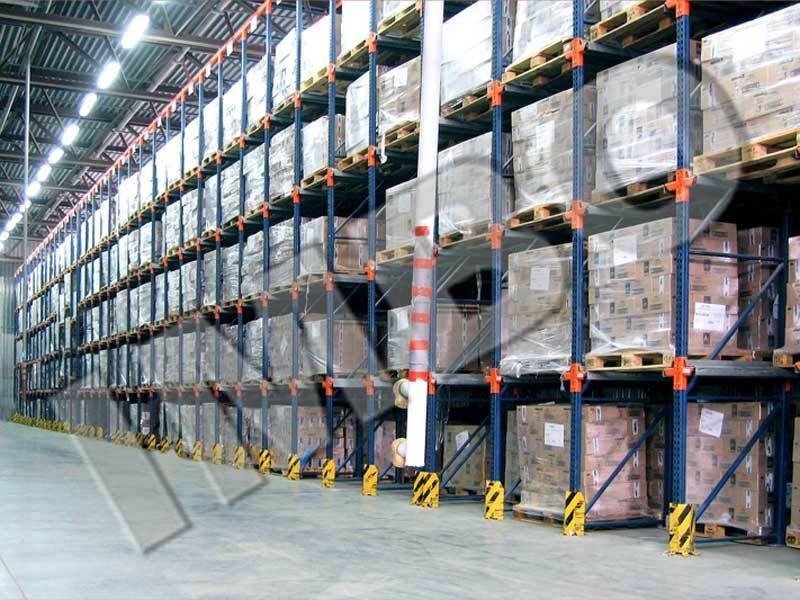 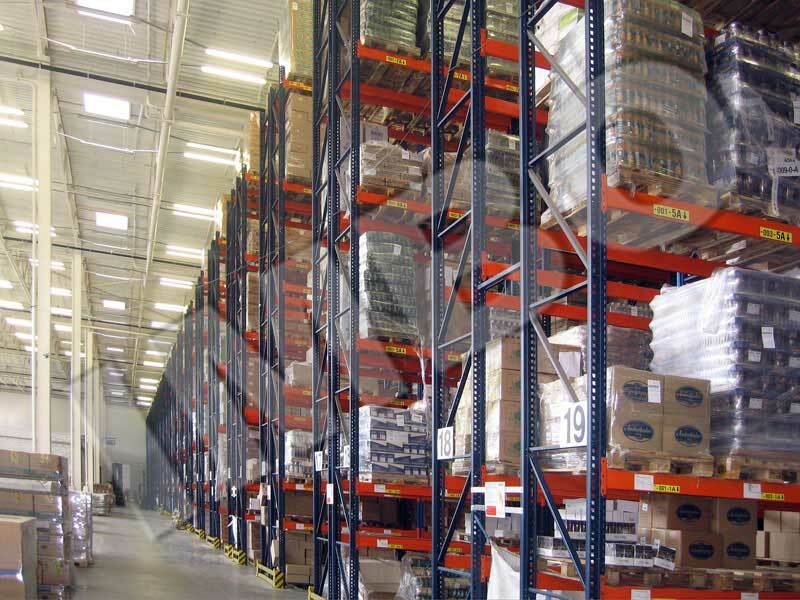 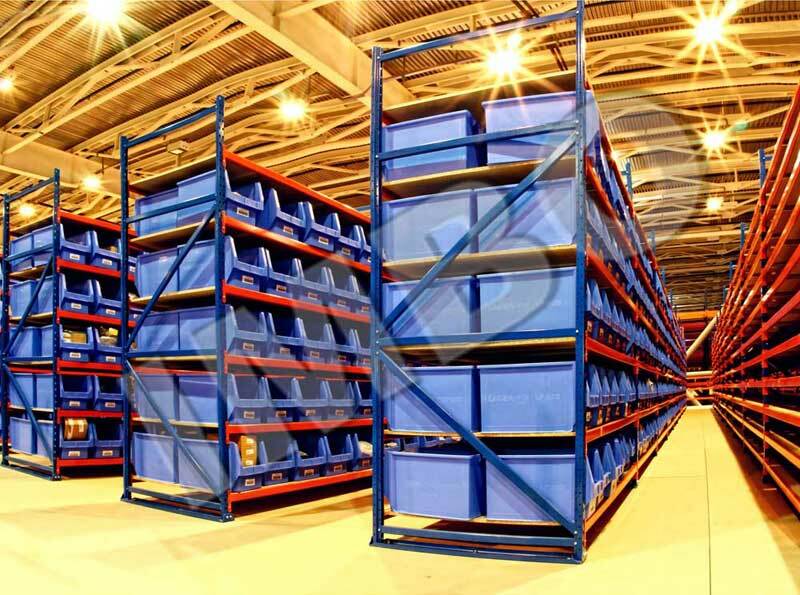 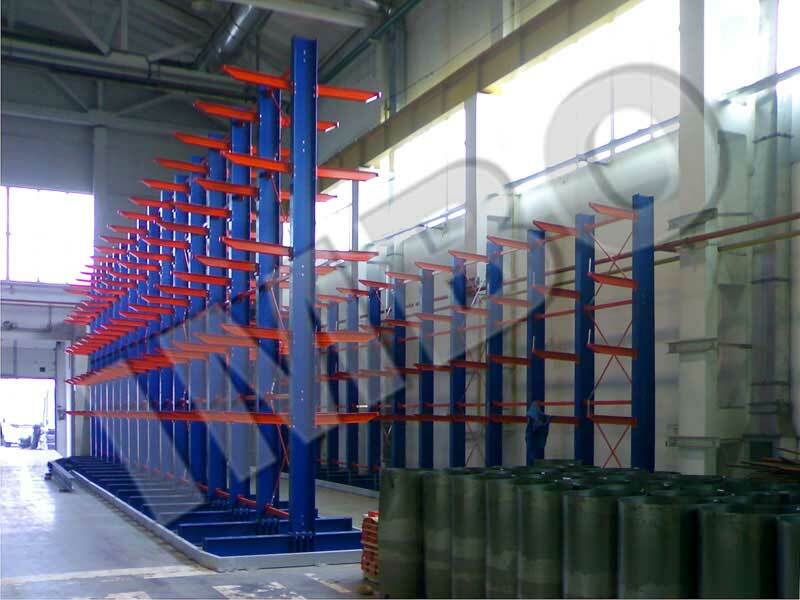 pallet racking with arrangement for vertical storage of profiles, rails, etc. 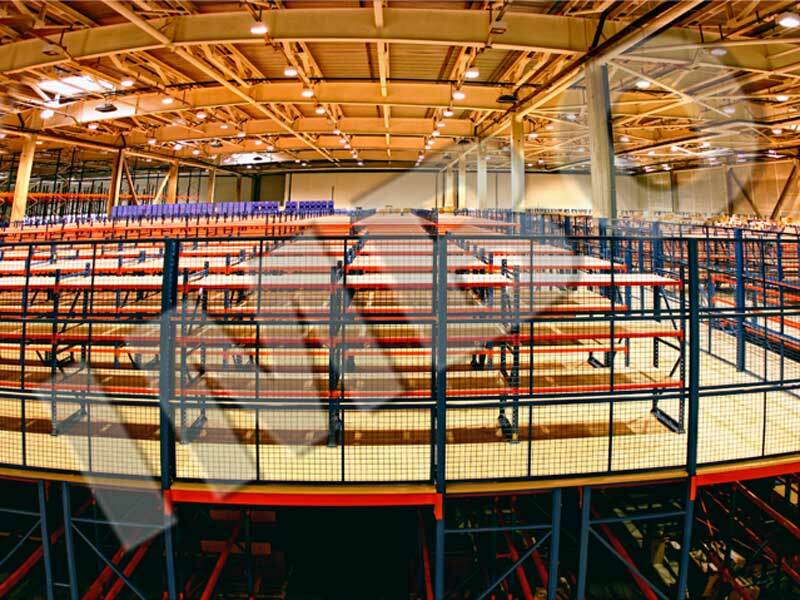 on the lower levels. 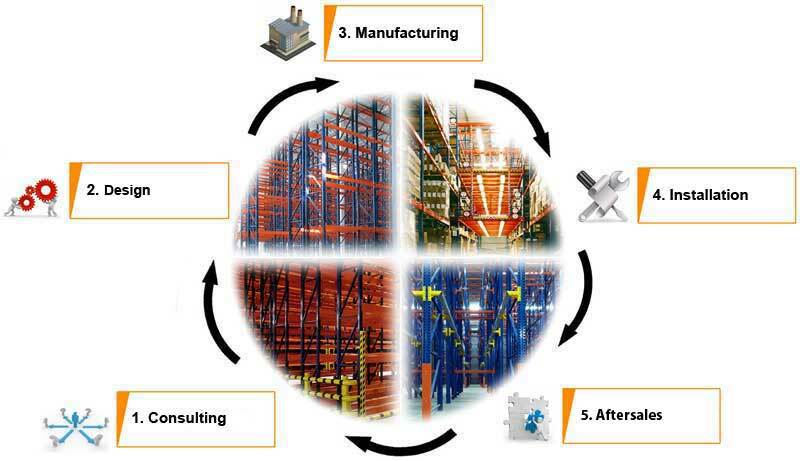 Extensive experience of solution implementation. 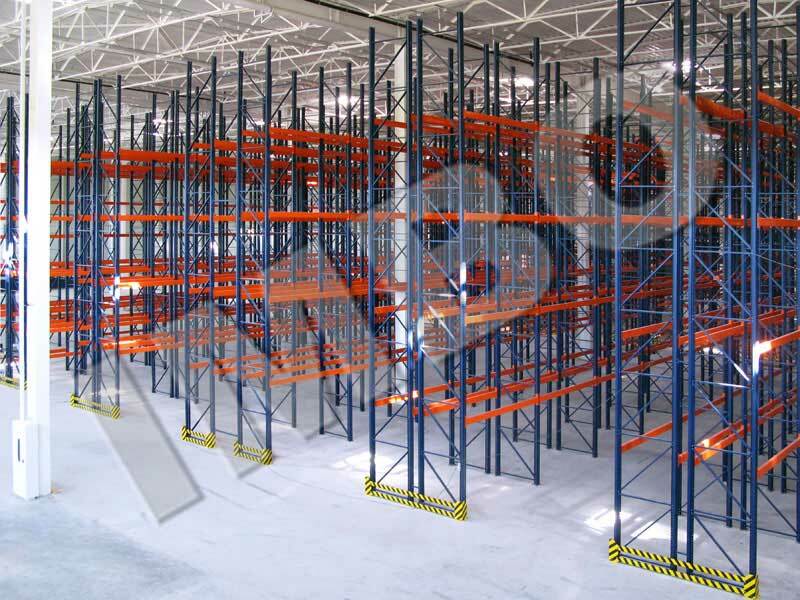 A mezzanine with total area of ​​2,100 sq.m. 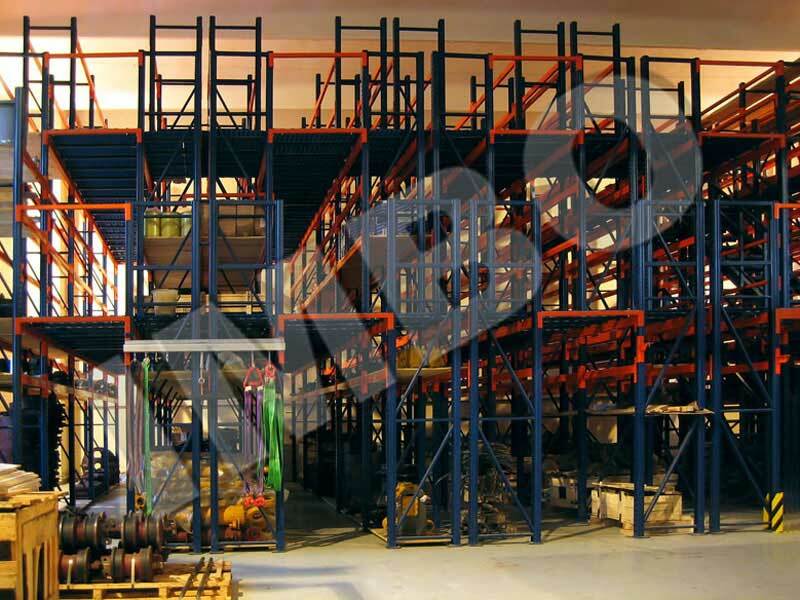 was developed and implemented. 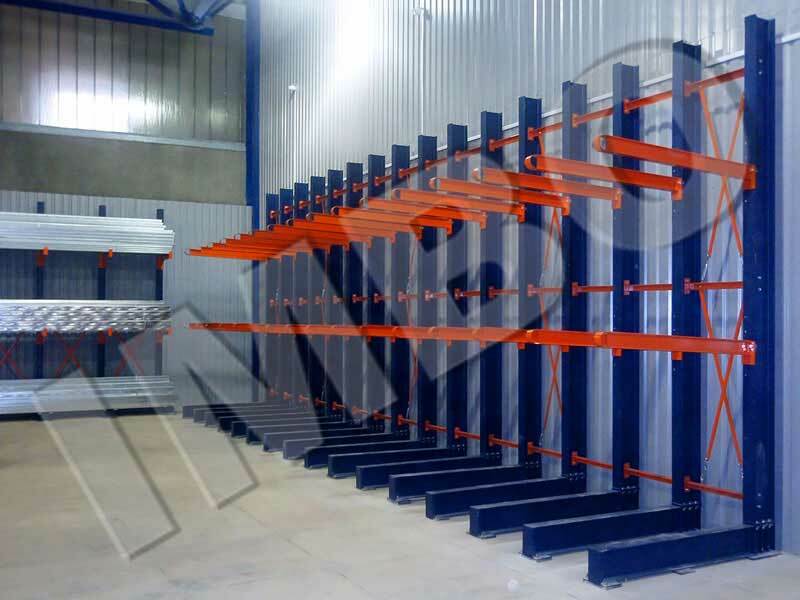 It integrates well with transport systems. 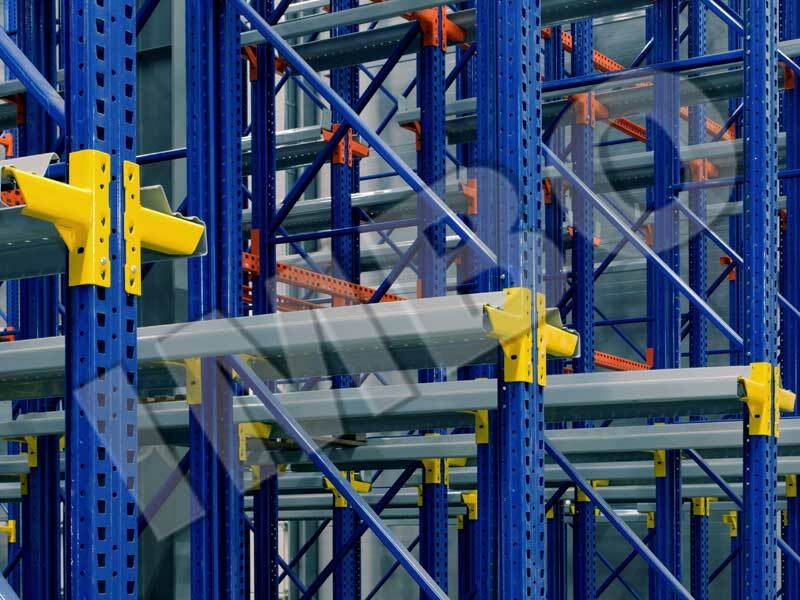 That significantly reduces the price of handling and speeds up processing. 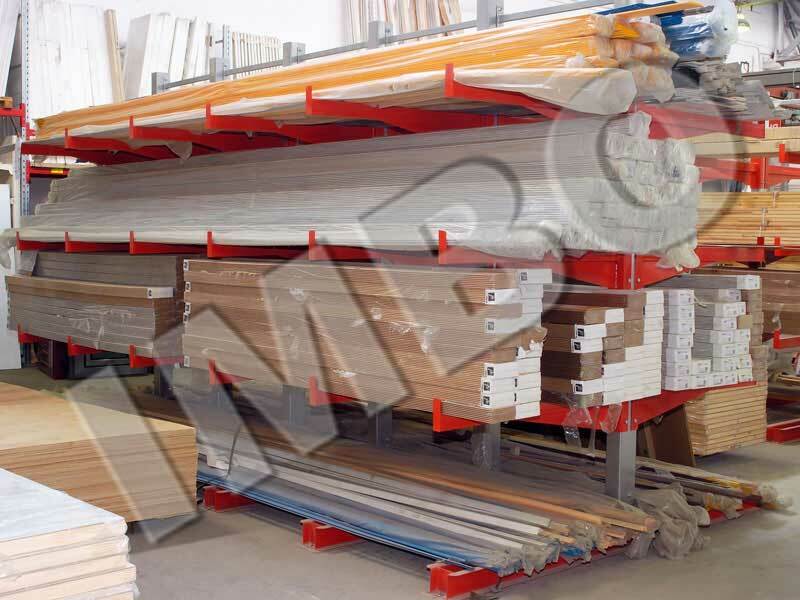 comprehensive solution for supermarkets DIY, etc. 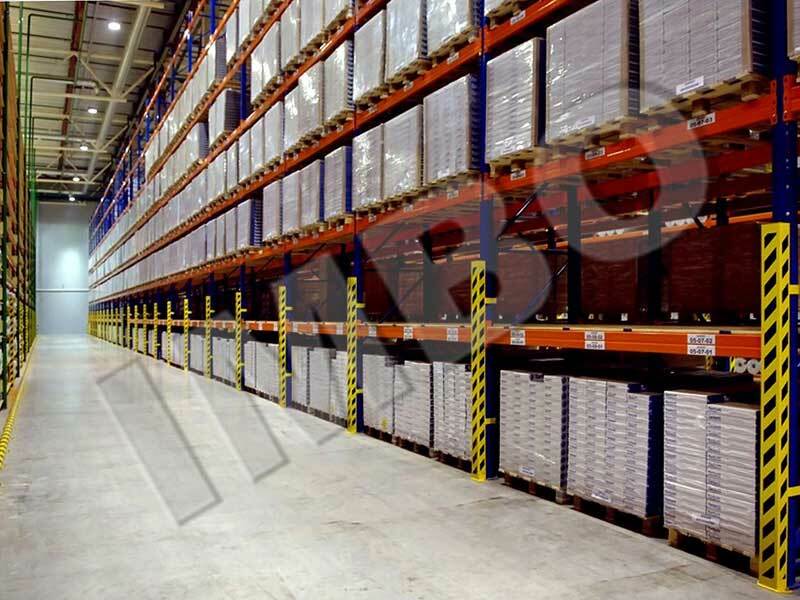 guides for narrow aisle trucks. 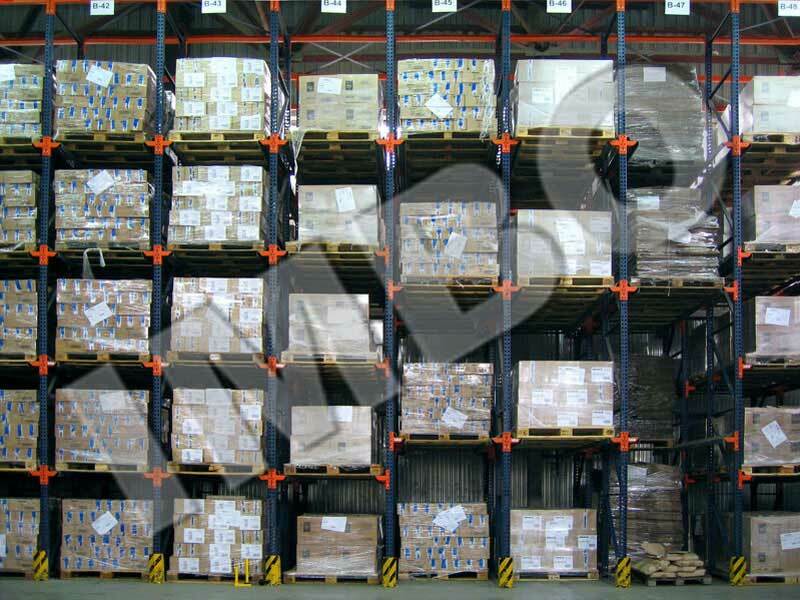 Storage of goods is an important part of production and sales procedures and provides alignment of consumption (sales) and supply (production) of goods in the appropriate place and at the appropriate time. 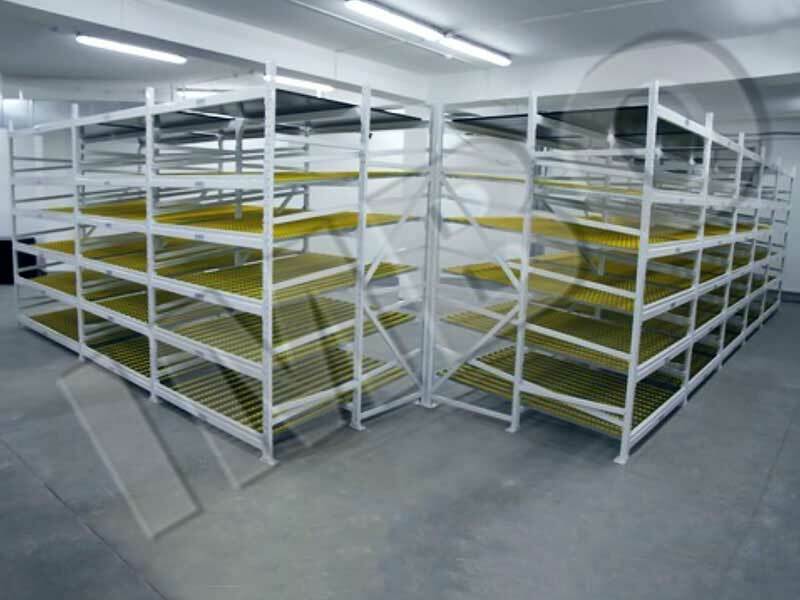 While starting storage of goods you expect a selective picking of them afterwards and plan efficient use of storage space (of your own or rented). 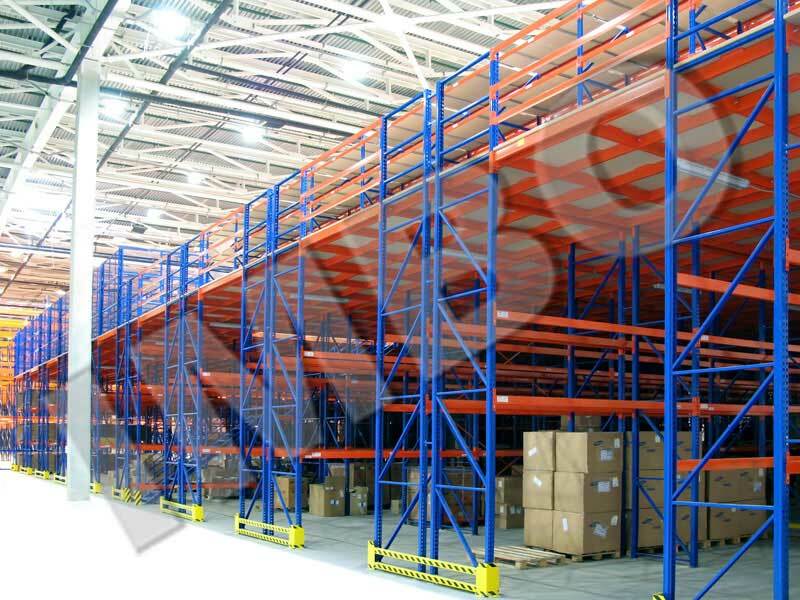 You also care about cost-effective warehouse operations and safety of operation. 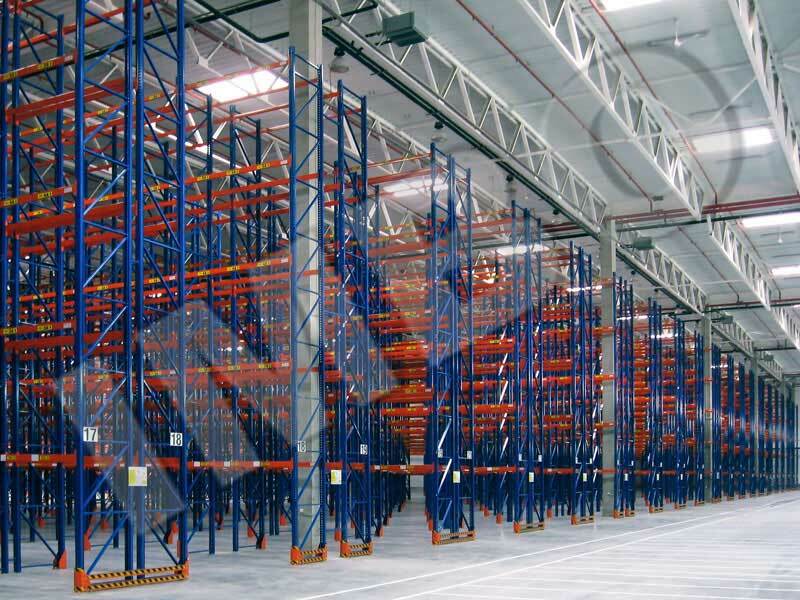 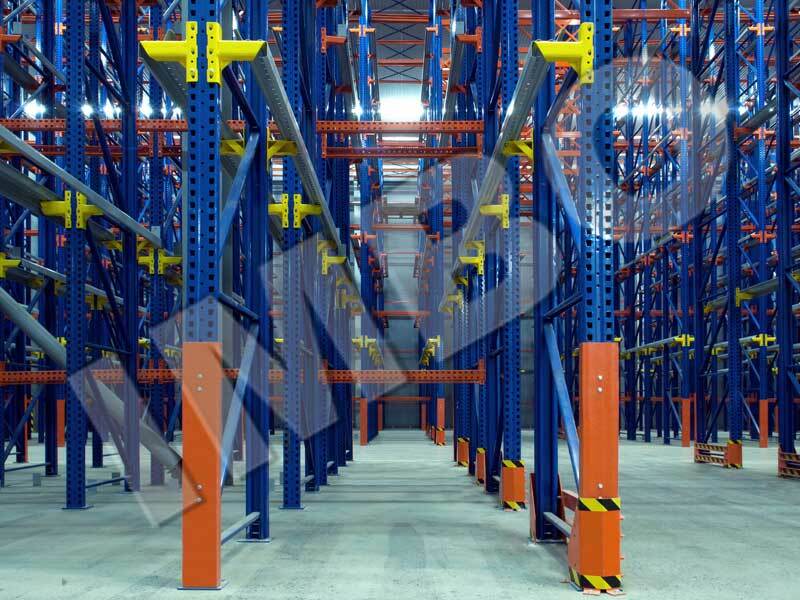 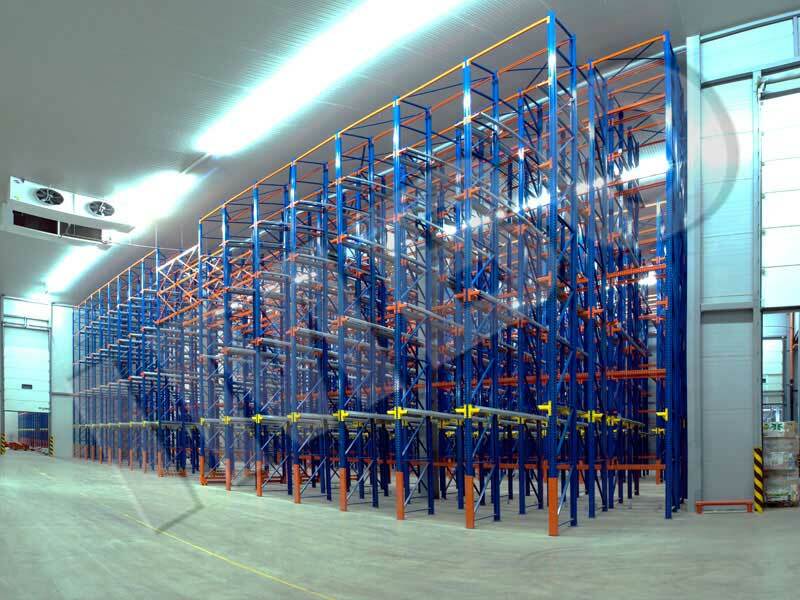 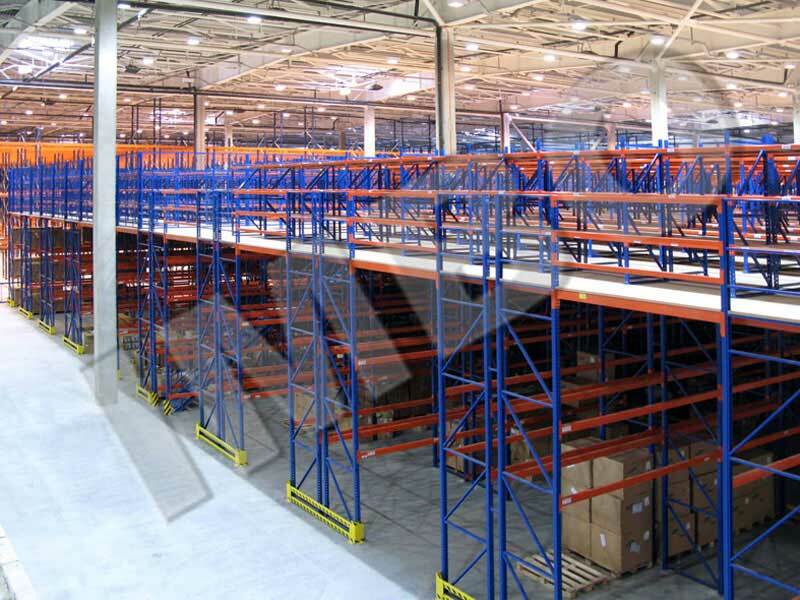 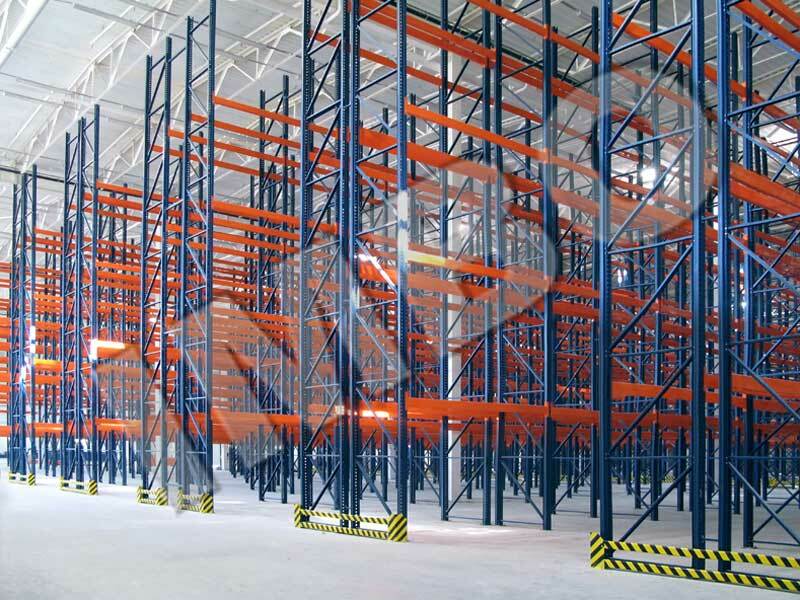 IMVO offers solutions for optimized use of storage space by developing, manufacturing and installing racking structures, with consideration of specific characteristics of goods and specific requirements for storage. 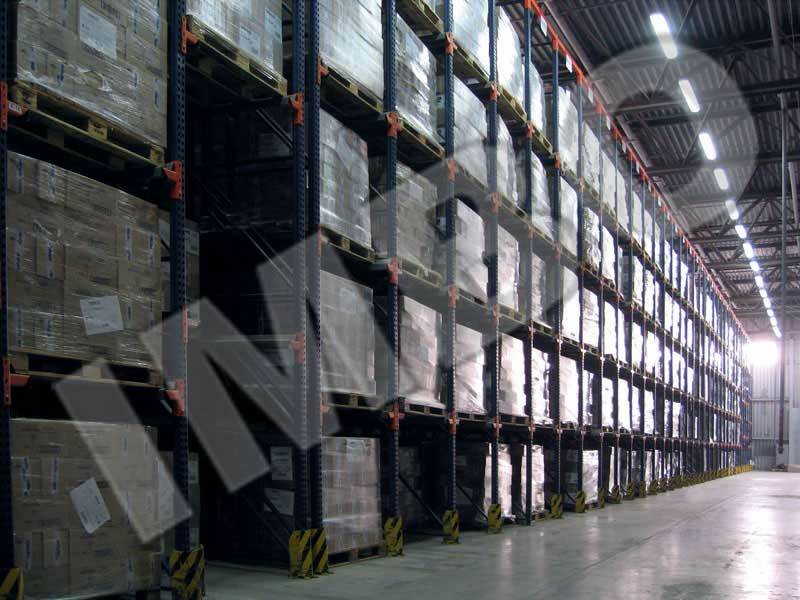 Our products form the basis for various logistics solutions, reliability and quality of which is appreciated by two thousand enterprises in Ukraine and abroad. 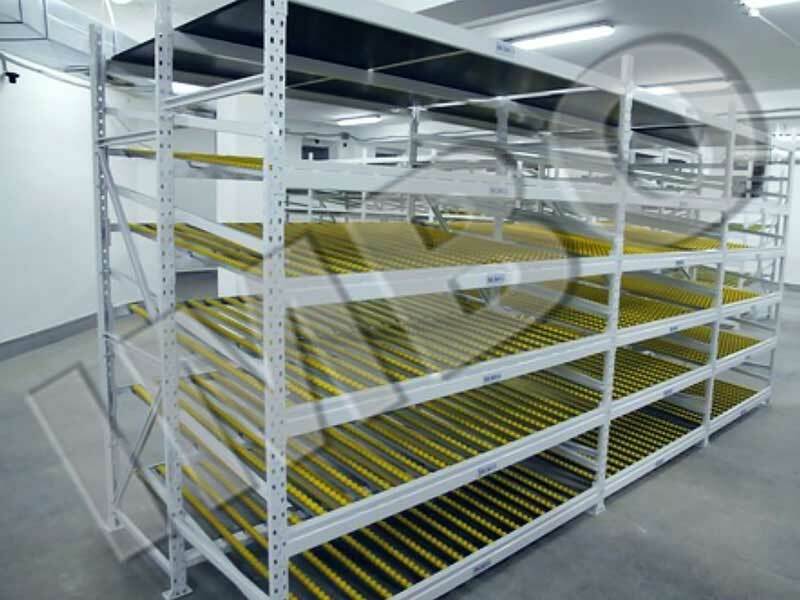 You need to store parts or assemblies at assembly lines - use our mini-Rack. 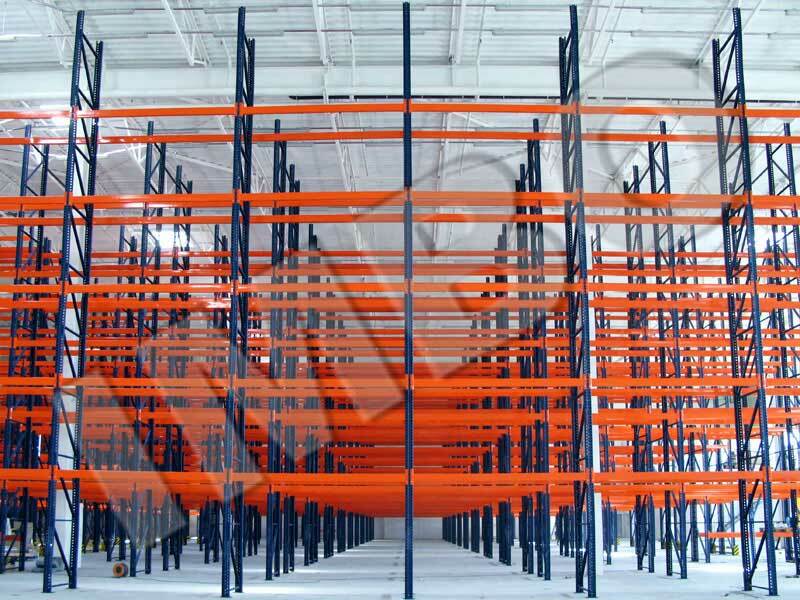 If necessary, we adapt our systems to special applications. 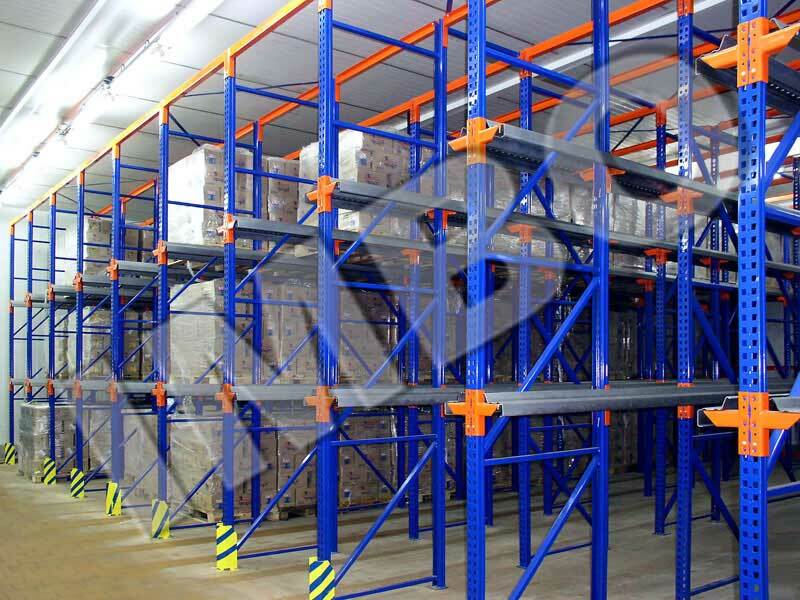 We welcome assistance of all who are concerned about their own performance, who, in these difficult times, do not forget about the creation of the future.